I cannot even being to express what a doll Cydney is. She has truly become a friend of The Manor House since she chose to have her wedding day here with her true love, Kiel. That is why I am so ecstatic for the opportunity to bring you this full feature on their amazing fall wedding in October of last year. Get ready for this one, it is full to the brim of wedding details, large and small, that will make anyone swoon. Hope it gives all you fall brides out there some great ideas! 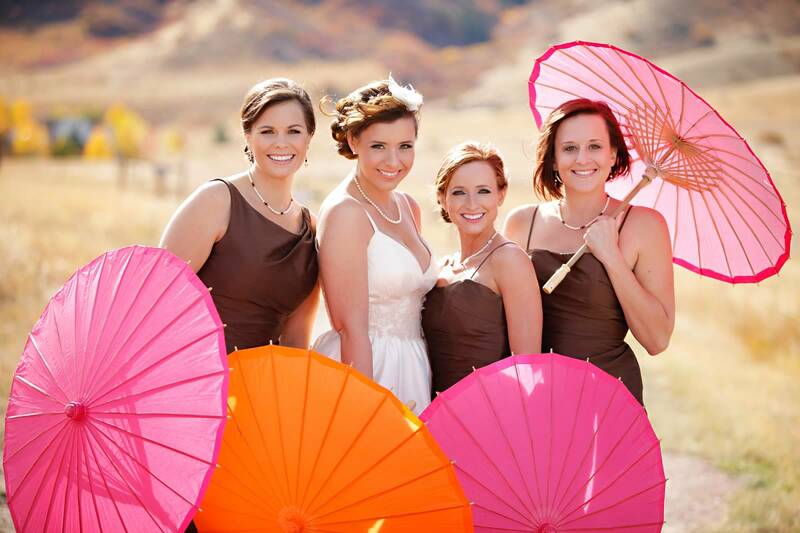 Thanks again to Cydney and her impressive event planning company, Stiletto Events for sharing! As well as a special thanks to the talented Volkel Image for providing these wonderful photos! Cydney made these marvelous sweatshirts & t-shirts for her bridesmaids, which is such a wonderful and personalized gift to give your ladies! Notice that the numbers on the back of the girls’ sweatshirts make up the couple’s wedding date when put together. Cydney’s clever hint of something blue. Kiel & Cydney met through an old fashioned blind date set up by Kiel’s good friend, Kim, who made a $500 bet with Kiel that she would introduce him to his future wife. Quickly after the bet was on, Kim began the hunt to find Kiel’s soulmate. Cydney made things easy for Kim as one day shortly after the bet was made, Cydney wandered into Kim’s photography studio. After talking for a while about Kim’s work, Cydney started to confide in Kim her desire to find an amazing man like the ones featured in Kim’s photography. Next thing they all knew, Kiel was leaving the infamous message on Cydney’s phone, “Hey Cydney, it’s Kiel, (pause) I am just calling you back, (pause) give me a call back, (pause) ok, bye.” Who knew that so few words could lead to a date, and then to a blossoming relationship celebrated by a wedding at The Manor House. Their adorable proposal took place on May 26, 2011, when Kiel picked Cydney up from her office from lunch. After eating a quick bite at a Chinese restaurant up the street from Cydney’s work, Kiel asked Cydney to walk with him back to her office even through there was still 25 minutes left for Cydney’s break. While they were walking back, they stumbled upon a gorgeous little courtyard… Cydney describes it as complete with, “picture brick walk-ways, blooming trees, and flowers all around.” It was during their stroll through the courtyard that Kiel asked Cydney to dance with him. Suddenly, Kiel was down on one knee in the middle of the picturesque courtyard asking Cydney to marry him. Stunned, Cydney responded, ” Really? Are you serious?! ?” Not sure what to say, Kiel said, “Well, I have a ring….” Once Cydney realized that this proposal was real, she replied with a big resounding YES and as soon as Kiel got off of his knee, a group of women from a store overlooking the courtyard came into the street clapping and cheering for the happy, newly engaged couple. Cydney & Kiel’s wedding was all around SPEC-TAC-U-LAR!. The decor was amazing, complete with the fall color scheme of tangerine, fuchsia, & chocolate brown… and don’t even get me started on the exquisite flower favor boxes Cydney made herself! However, I have to say the dances will always be remembered most fondly here at The Manor House. The Manor House was first surprised along with all of Cydney & Kiel’s guests by an unexpected recessional to Party Rock Anthem complete with sunglasses for the whole wedding party and killer moves from all of those involved. Next, everyone was tearing up when Kiel stepped in during Cydney’s waltz with her father, without Cydney knowing he could waltz at all. Kiel had taken dancing lessons prior to the wedding and planned it with Cyndey’s father that Kiel would surprise her and step in to show off his newly found waltz moves. Finally, the most inspirational dancing that night went to Cydney’s step-father, who completed an entire choreographed dance with Cydney after having hip surgery just 4 months earlier! This wedding… the couple…the guests… all of it, will always have a special place in the memories of The Manor House. Congratulations Cydney & Kiel! We could not be more happy for the two of you!